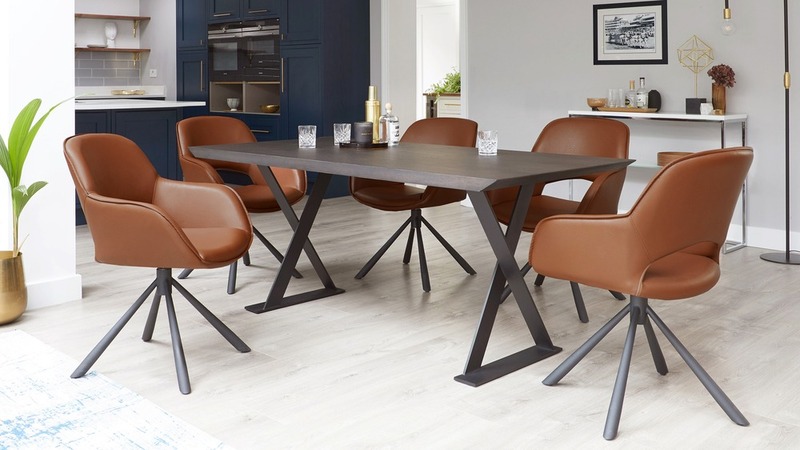 The Nala Dark Oak and Marlow Faux Leather Dining Set is an impactful dining set where you can gather the family for everyday dining or entertain friends long into the evening. We’ve created this set with the generous Marlow chairs which have a high comfort level, so you can sit back, relax and get cosy in your dining area. This spacious dining set easily seats 6 people, but you can always add a few more chairs to make it an 8 seater. 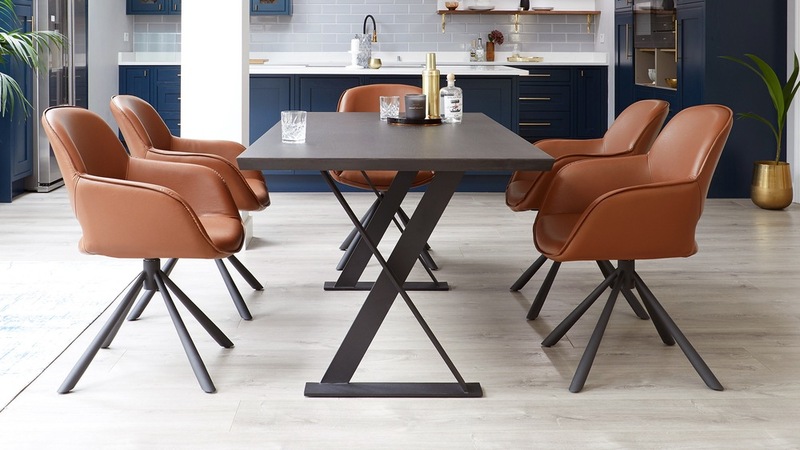 The Nala’s robust iron legs have a matt black finish, giving the table a contemporary and sleek look, meaning the table is incredibly sturdy and perfect for everyday use.  The ribbon legs of the Nala are crossed in the style of a traditional trestle table. However, the Nala’s angled legs give the table a constantly changing look when viewed from various positions around the room. 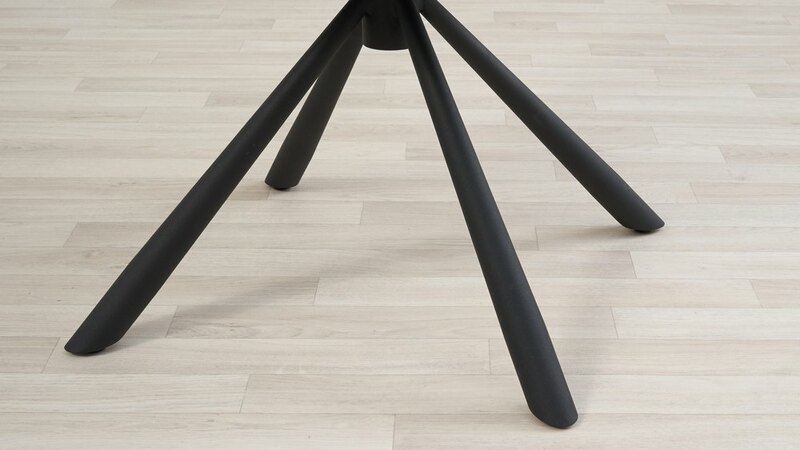 The four legs positioned to the centre of the chair are finished in a trendy matt black and coordinated nicely with the legs of the Nala table. 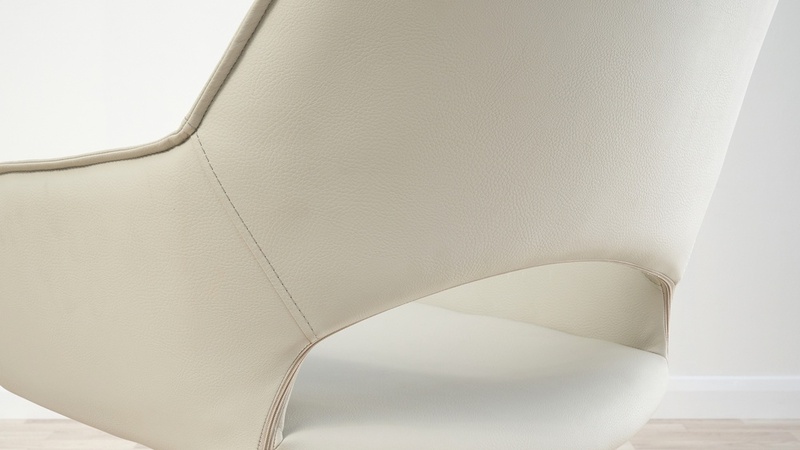 This is a contemporary contrast to the leather seat and an impactful design feature that really makes this chair a statement piece. 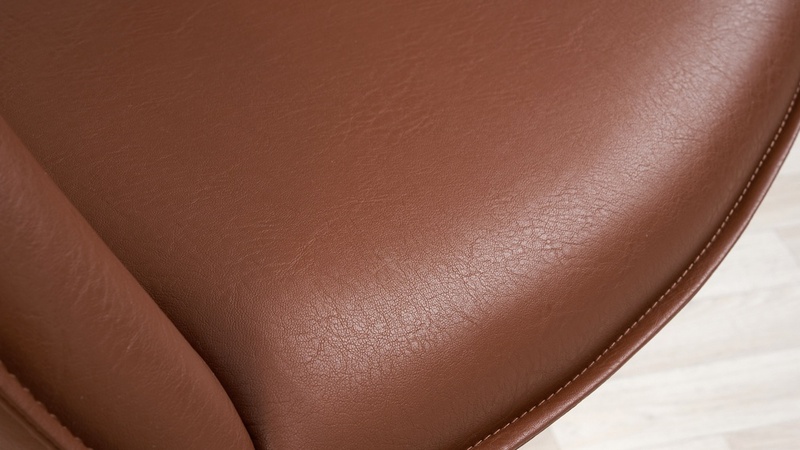 The Marlow dining chair is upholstered in one of our more premium PUs. 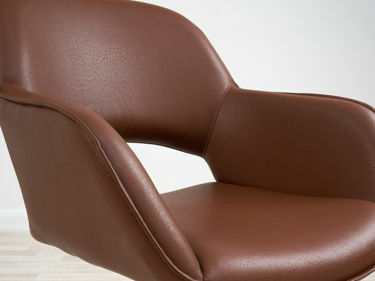 This type of faux leather has a fuller, thicker feel, adding to the sumptuous look of the Marlow chair. 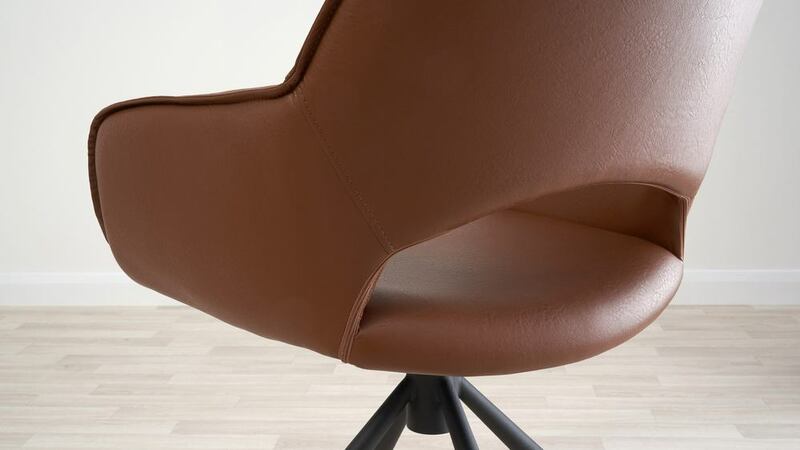 What's more, the PU is durable and easy to clean, making it an ideal choice for something used as often as a dining chair. The ends of the Nala table have a bevelled edge. 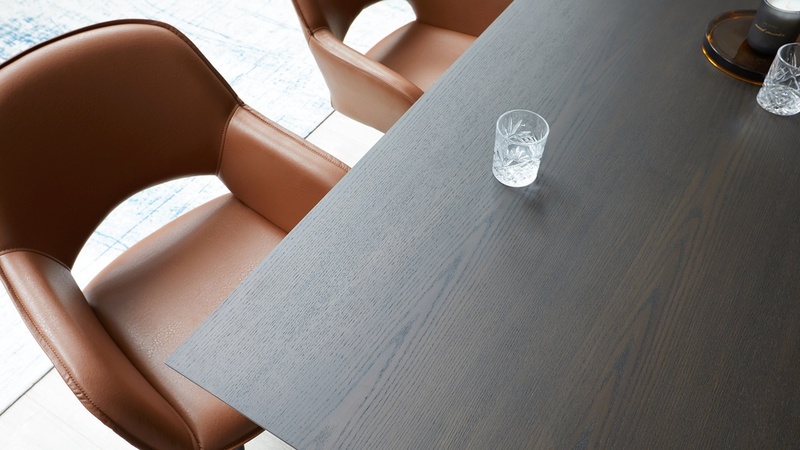 This chamfered edge design is an understated feature of the table that makes it visually interesting when viewed from different angles around the room. 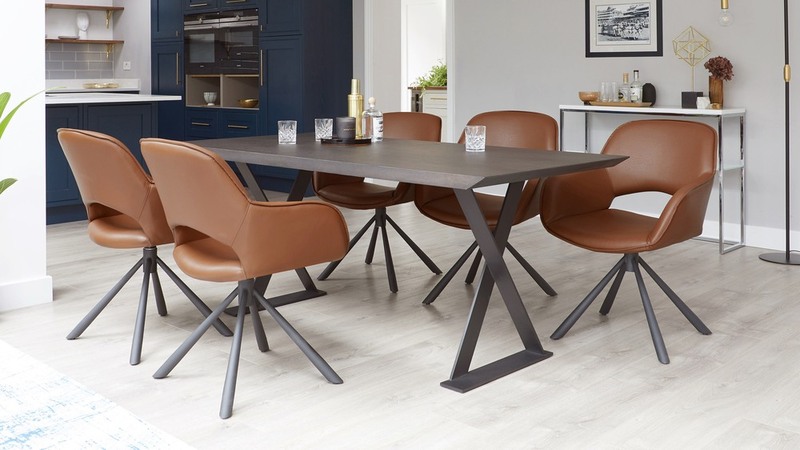 The Nala wooden and iron dining table can seat between 6 to 8 people, we’ve included 6 chairs in this set, however, you could easily add an extra 2 people around the table if you need to accommodate a number of dinner guests. 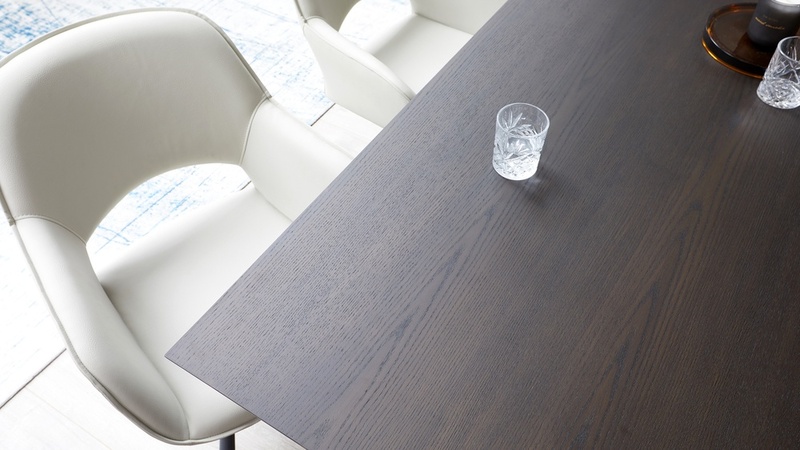 The dark oak veneer gives this table a modern wood grain running throughout, giving the table a very strong visual impact and will become a statement piece within your kitchen or dining room. Dining armchairs are a comfortable alternative to more traditional dining seating. 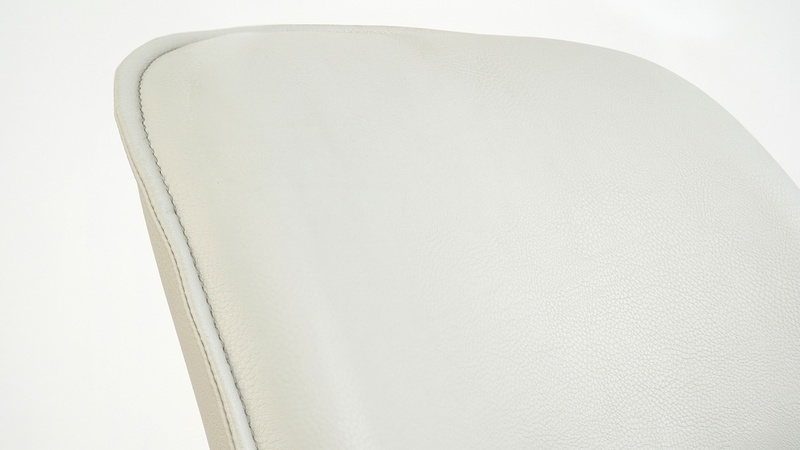 With extra padding and a generous seat size means you can sit back and relax while sat around your dining table. Check out our other 6 seater dining sets for more inspiration. 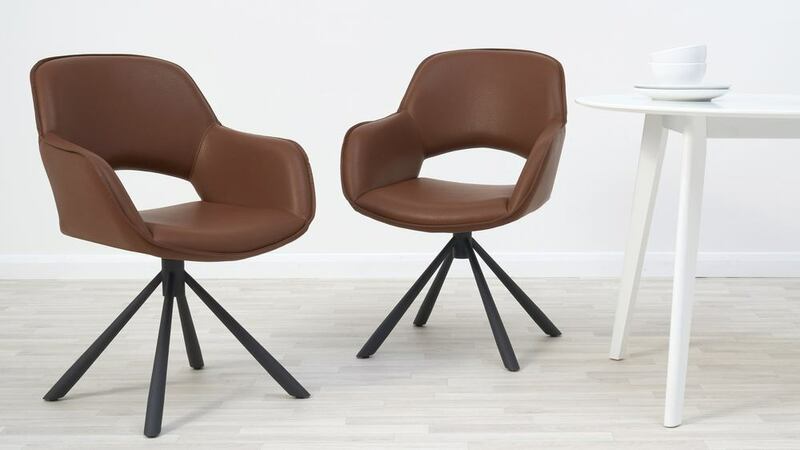 If you’ve not considered having a dining armchair in your home, now’s our chance! 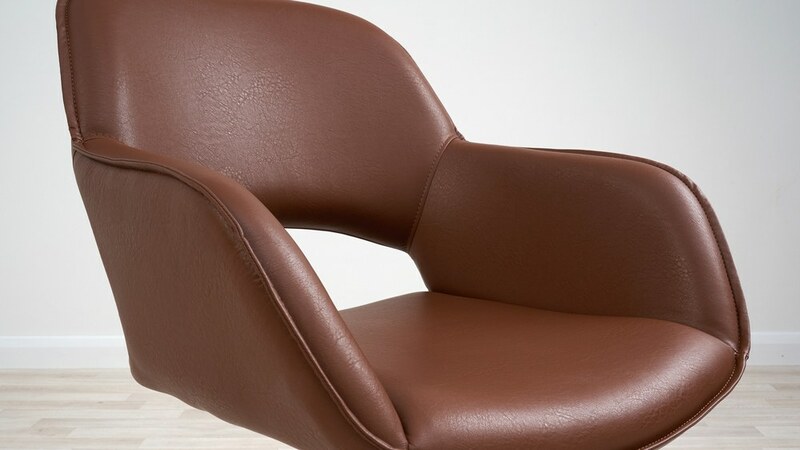 With an armchair, you get that little bit more of an enveloped feel as the arms and deeper seat really invite you to sit back and relax. 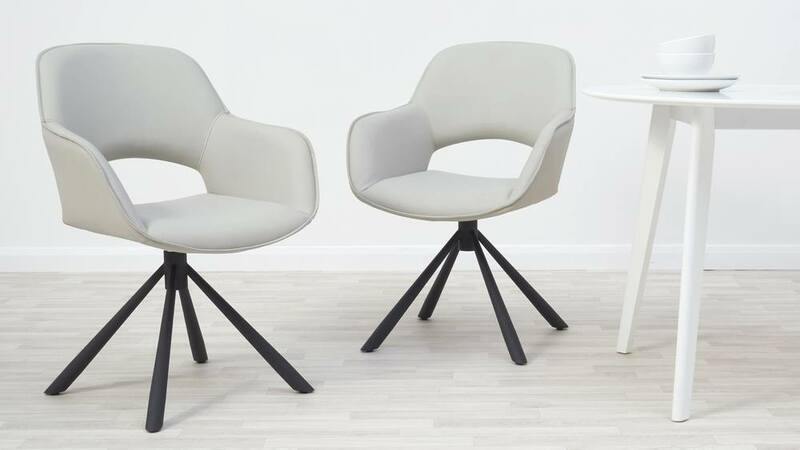 With the Marlow, we’ve taken this comfort factor and increased it further by adding a swivel function to the powder coated base. This makes it even easier to get in and up from the seat, so you can get cosy during mealtimes.